With the Alfred Dunhill Links Championship getting underway tomorrow, Carnoustie Golf Links’ General Manager, Graeme Duncan, discusses his experience of playing in last year’s Championship. You don’t realise the effort that goes into the week of a golf tournament as a player until you experience it for yourself, rarely is it a case of just turning up on the Thursday and getting the tournament underway. Last year, it all began on the Sunday with check-in at the Old Course Hotel in St Andrews, where I was made very welcome by the staff on hand and received some of the perks as a player – jerseys, hats and waterproof gear. With my handicap certificate approved, I was all set for the week ahead. It was down to business on the Monday with a practice round at Kingsbarns Golf Links on what was a glorious day for a game of golf. I couldn’t have got off to a better start on that practice round, making par and a birdie on the opening two holes, if only I could save that sort of start for when the tournament began. Another day, another course. The Old Course at St Andrews Links beckoned. It was like another world compared to my quiet experience at Kingsbarns the day before, there were golfers and visitors galore. I had the pleasure of being paired with Danish pro, Lasse Jensen, on the day. He hit the ball beautifully and our drives were around the same length, albeit I was teeing off 60 yards ahead of him. After a lengthy round we were joined by another Dane in the form of defending champion Thorbjorn Olesen – a delight to speak to and watch, his swing making me feel a little inadequate. 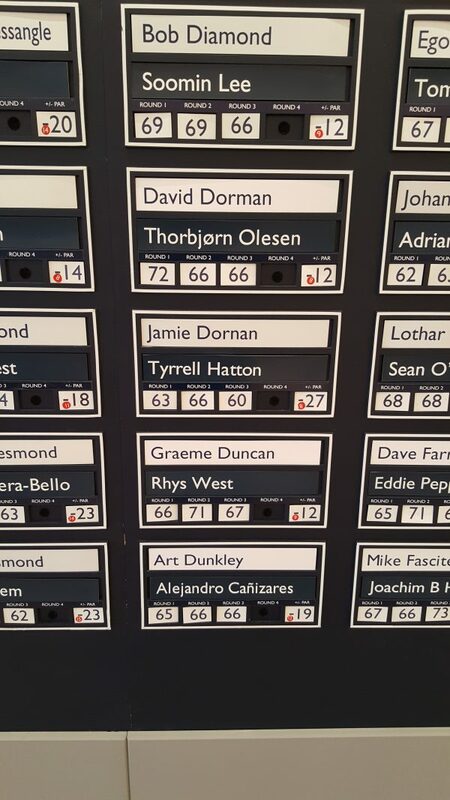 At Tuesday evening’s draw I was paired with Rhys West, a young South African professional. It was business as usual on the final practice day at Carnoustie – I’m well accustomed to the Championship course so some time at the practice ground was all that was required. 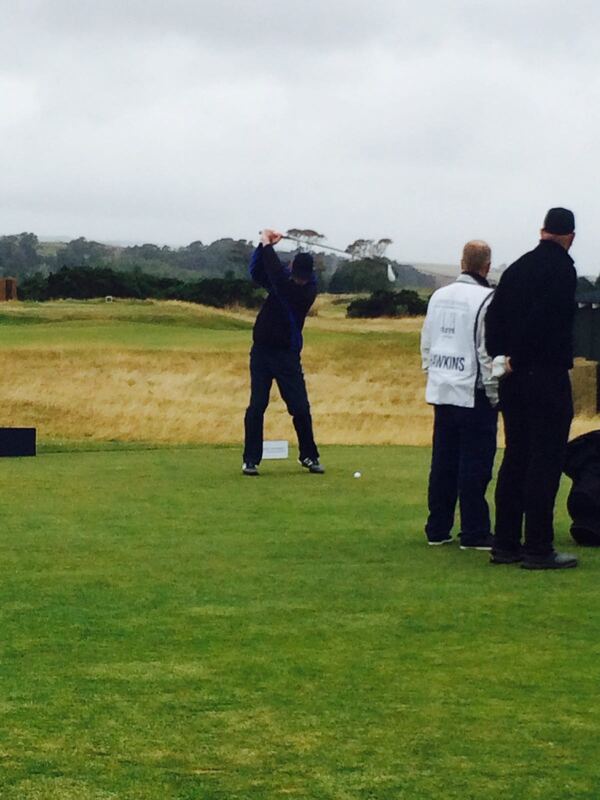 Like in the practice days, my first day in the competition was spent at Kingsbarns. After introducing myself to my playing partner for the next few days it was down to business. Rhys hits his first drive long and straight, my turn. All I have to do is replicate the start I had earlier in the week…or hook my drive into the rough about 100 yards from the tee. Things go from bad to worse as I hit my 2nd shot no further than two yards then down a cart path with my 3rd. My caddie Alf suggested it might be worth putting me out of my misery at this point and pick up but I want one more go. At least I hit it that time, however, I pick up and move onwards to the 2nd. Things got better as the round wore on and with help from a very good round from Rhys we finished the day on 6 under, leaving us about halfway down the leaderboard after day one. Day two of the tournament and off to the Home of Golf we go. We start at the 10th hole, playing the back nine into the wind. Oh the joys. Neither myself nor Rhys got off to a good start – at the 17th I it my third shot onto the road but managed to go up and down from that position to make up for it. Rhys’ round gets better as we go through the front nine so we finish the day -1, making us -7 for the tournament. There’s no place like home on the third day as we play over the Championship course. The sun is shining, we get off to a good start and a birdie on the 12th gets some applause from the locals overlooking the green – I’ve never felt so much like a pro. The real bonus on this day was having my son caddying and my family watching, just made it all feel a little better. Rhys played extremely well on the day, helping us to -5 for the round and -12 overall. It may not have been enough to help us qualify for the team event but Rhys, deservedly, had done enough to make it to the final round, played over the Old Course. Playing in the Dunhill Links was a terrific experience, one I will not forget any time soon. Being on that side of the rope was a real insight into how well the professional can play the game. I’d like to finish by thanking everyone who allowed me to take part.